Good evening, space fans! Here's what was up (in orbit) this week! Special delivery! The Dragon drops down from its planet-perusing perch. 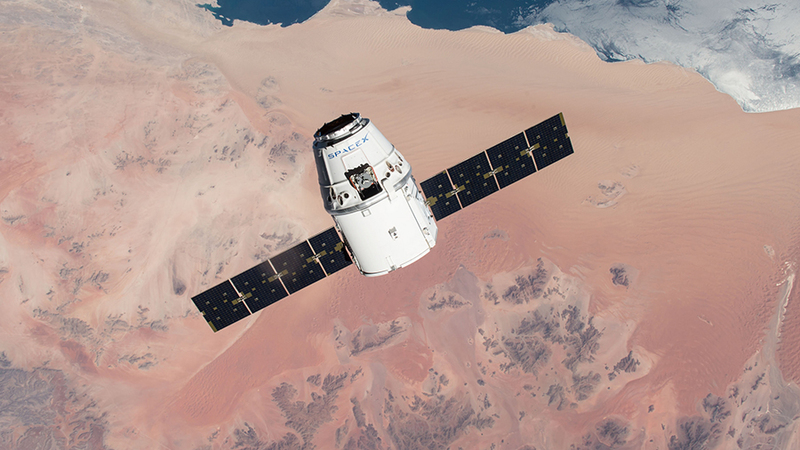 On Wednesday, the SpaceX Dragon capsule that had been attached to the ISS after a recent cargo delivery was released from its orbital perch and sent back down dirtside. The capsule was packed with over three thousand pounds of scientific research and other materials. Numerous types of experiments were included in the mission home. Most notably, the capsule ferried back various scientific samples related to the One-Year Crew's mission, in which astronaut Scott Kelly and cosmonaut Mikhail Kornienko served aboard the station for nearly a full year. 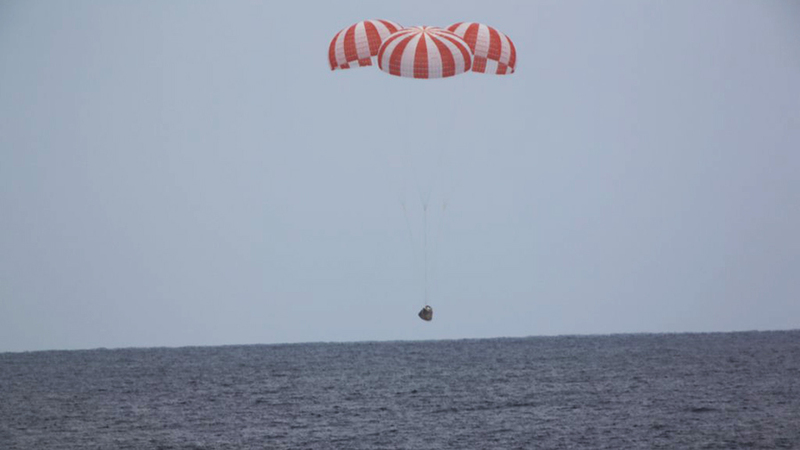 Although the pair returned to Earth earlier this March, their scientific findings had yet to be completely returned to earth, but the Dragon was recovered safely in the Pacific Ocean for further analysis. The Dragon on arrival, a.k.a. the most expensive delivery food in history. The astronauts got a chance to relax after the Dragon made it home safely. Other experiments conducted this week included an experiment to optimize photographic techniques as well as a depressurization of the Kibo module so that a fleet of small "Cubesat" satellites can be deployed for earth observations. UV spectral measurements were also made to determine the reactions of light-emitting phenomena in regards to the atmosphere and ISS. Tomorrow, at 06:10 Greenwich Mean Time, the station will have completed 100,000 laps of planet Earth. The milestone marks fifteen and a half years of continuous human presence in space, with some 220 astronauts and cosmonauts from 18 different nations having served aboard the levitated laboratory. Meanwhile, we were somewhere in this picture, waving. Last week, the station celebrated the capture of three million images from the ISS during the sojourn of the space station. And there's no slowing the astro-artists down...astronaut Jeff Williams is well on the way to the next milestone! Show us what's up! That's all for this week, space fans! We'll be back next Sunday with more excellence from orbit...watch this space! I love Space so very much.Wanted to be an Astronaut when i was a kid..But who didnt right? Space is so scary yet so mesmerizing at the same time.